If you need a Nashville Bass Track for your song, why look anywhere but Nashville Trax? We’ve satisfied ,ore clients with our “add this instrument to your project” over-the Internet service than any other Nashville based recording studio! Need a specific bass and amp combo? Fender Precision? Ampeg? Hartke? Fender Jazz? Yamaha? Washburn? You name it, we probably have both the amp and bass you need. Not that knowledgeable? we’ll be glad to select the proper bass gear for your song! A Christian vocal trio known as The Greatest Gift decided to do an album of material penned by bandleader Wayne Paterson. Unhappy with previous efforts recorded at studios located in Nashville, New York and Los Angeles he searched for a new studio that could bring the magic he knew existed to his work. He began sending piano/vocal demos to producer Bill Watson of Nashville Trax in March of 2015 and was ecstatic with the results. With Watson arranging and producing the music tracks, then sending them to The Greatest Gift where they add vocals and mix at a local studio, they have finished the first album, Come Into His Presence, and have nearly completed a second. The Greatest Gift is also using the mixed and mastered tracks to perform live and even sing to the tracks in Christian songwriting and performance contests. They took first place in the local, regional and state competitions and are scheduled to compete in the national finals in Tennessee this coming spring. The Greatest Gift is reporting brisk sales at churches and other live concert performances, helping them recoup their investment plus help fund the next CD. They’ve also been able to secure an entertainment lawyer based in Nashville to help them pursue national distribution. Click here to order your female country singer vocal track online NOW! Need a female country singer over the Internet to sing your song and deliver it online so it will automatically lock up with your self-produced project? It happens here! That’s what the Nashville Trax Vocal Tracks Online service is about! Is Kassie the online female demo singer you need? Would Jenee Fleenor work for your tune? Simply choose your singer, send us your rough mp3 so we can set the best key for your singer, record your tracks and send us a quick mp3 mix. You’ll get back a .wav file containing a great vocal track that will upload and lock right up, guaranteed! Same day Fiddle Track Over The Internet Via Tracks Online! Marc Loren of 42nd Street Studios hired us to do a fiddle track (for a country song he’s been working on for one of his clients) through our Fiddle Tracks Over The Internet service, Trax Online. It was a bit of a rush job, Nashville Trax was contacted by Marc in the morning and he needed to mix that afternoon. Our fiddle player, Jenee, happened to be available. If you ever need him and you’re in the Ft. Lauderdale 33334 area, Marc does great work. We look forward to a long and prosperous relationship with him and 42nd Street Studios. The music producer, and sometimes engineer at the Nashville recording studio Nashville Trax and the over-the-Internet song demo service Play It Again Demos is Bill Watson. Mr. Watson brings years of experience with song structure, lyrics, arrangement, recording and production to your project. He will choose the perfect session quality Nashville musicians and pro session singers for your song. He’s known for taking a songwriter’s rough work, no matter how sketchy it is, and transforming it into something amazing. Check out our samples, hopefully you’ll agree. 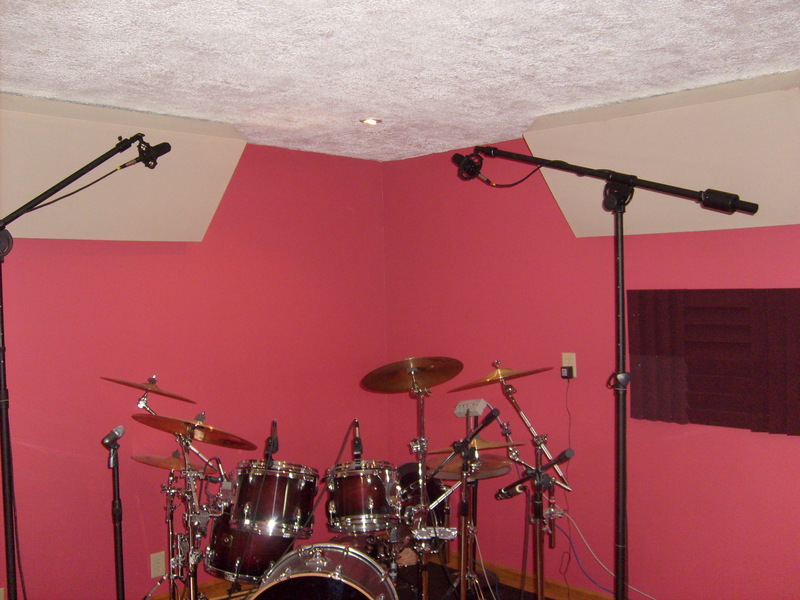 What’s A Good Studio for Recording Christian Music? Just because a studio claims to be “Christian” doesn’t mean its the best choice to record your Christian material. It also needs to be a studio with the right commercial gear and reputation. Consider Nashville Trax At Nashville Trax the owner/producer, singers and musicians who will work on your songs are Christians who understand the process of recording Christian material. Its what we listen to. In fact, most of us, when not touring, play in the worship bands at local churches on Sundays, constantly learning the best of the latest Christian music. One major benefit here is we have at Nashville Trax combination of session quality Christian musicians you can get nowhere else on the planet. Most Christian singers or Christian songwriters will benefit from working in a studio where their efforts are respected so they can focus completely on their project. Nashville Trax does record secular material but Christian and country are the studio favorites. You can’t beat the equipment at Nashville Trax or being surrounded by believers as you record your single, your demo or your full blown CD. And if you’re doing at least three Christian songs on your project, Nashville Trax automatically gives you up to 8 hours of free recording studio time to help defray or eliminate your travel expenses! Why not forward your rough MP3 files now to nashtrax@bellsouth.net for a price quote? Want great drum sounds? Come record where the great drum sounds are! Nashville session guitarist, Tom Wild, mentioned how well the CD he produced in a couple previous tracking sessions at Nashville Trax (for one of his own clients) with yours truly engineering, turned out. (We cut the rhythm tracks and overdubs then exported them to Tom’s hard drive for him to mix.) He said his client was thrilled, the entire CD came out fantastic and promised to forward a copy.